Mobile Suit Gundam SEED Destiny: . :Lacus Clyne:. Minitokyo »	Mobile Suit Gundam SEED Destiny Indy Art » Mobile Suit Gundam SEED Destiny: . :Lacus Clyne:. You did a amazing job with the vectoring as well. 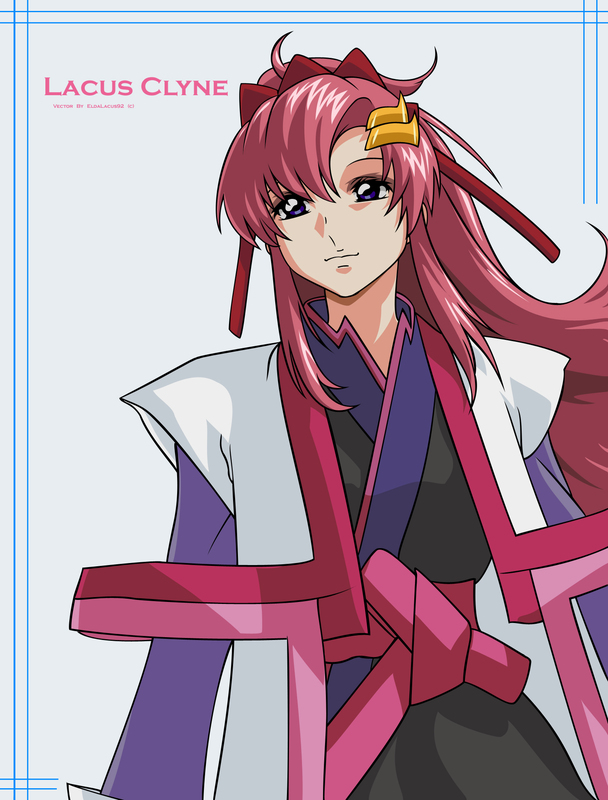 Nice vector choice, I love this image of Lacus-sama. Great Vector ! I love the background. Lacus looks so pretty here, you did a great job. I love the outlining and coloring. Many thanks for sharing. :) Great Job. Wow! Fantastic vector of Lacus! WOW Beautiful! Which program uses? I really like this image of Lacus. Not only is the vector beautifully executed, but she looks so calm. Not bubbly, and not ditsy as she too often is portrayed as looking...just peaceful. Beautiful. This picture is beautiful, Lacus looks really cute in this picture! I hope you keep making more pictures! Ohhhh ! I am at the candy store in town, do I go after the chocolate (dark) or the girl ? Well, I don't know about U, I'll go after the dark chocolate candy AND the GURL !